Bring the your Cthulhu adventures LIFE in your table top games with this 10+ minute track, "Cthulhu In Rleyh", from our full Cthulhu Soundscape, which picked up $10,500 and 225 backers on Kickstarter. This product, purchased for $0.99 contains one 240kbps MP3 track with an 10+ minute track . 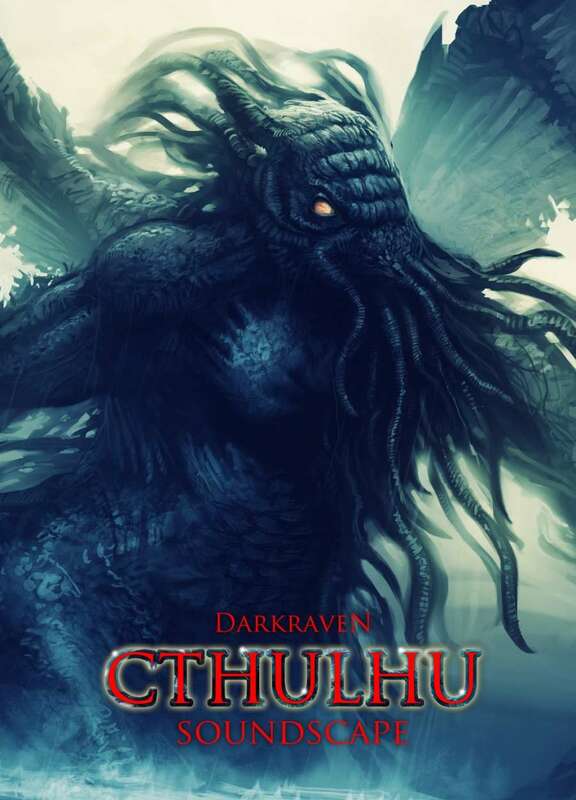 The FULL "Cthulhu Soundscape" collector's edition, is available only at darkravengames.com for $14 (regularly $19), and has 2 bonus, 10+ minute soundscapes which are not available anywhere for purchase individually and allow you to set up an entire evening of loops for your favourite Cthulhu boardgames or reading. Darkraven Games is a group of music and sound professionals who have combined to create over 180 tracks with 40+ hours of handcrafted audio to immerse you in your table top adventures, reading, LARP, or cosplay and we are adding more all of the time! This title was added to our catalog on August 08, 2016.